Federica Schiavo Gallery is proud to present FW2013RTW (Kudos), a group exhibition organized by Gasconade which includes works by Marco Basta, Michele Manfellotto, Beatrice Marchi, Matteo Nasini, Federico Proietti, Andrea Romano and Davide Stucchi. The exhibition comes from the idea of stimulating a dialogue between artists belonging to two different local scenes, Milan and Rome, cities which from their birth have been historical and mythological rivals. 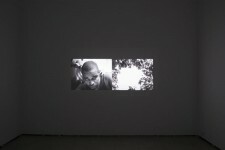 The artists find themselves interpreting the exhibition as a context in which the single individualities are confronted by the fact that they are simultaneously part of a community, which is either defined by a geographic belonging or, in a more complex manner, by one which is imaginary, vocabulary or of common styles. The exhibition more than anything tries to explore the dialectic between individual and collective mythologies. The artists create new symbolic and narrative systems not only with the aim of controlling the loss of meaning which afflicts religious, historical and cultural representations and narratives; but especially to create an opportunity to establish scenes of communion, empathy, and mutual faith. The title of the exhibition is an acronym for the initials of the prêt-à-porter collections. The expression Kudos – an English term derived from Greek κῦδος “glory” which means “prestige, fame”– refers to the titles, which some stylists give to their collections. These titles, which are rarely of public domain, are necessary for the critical interpretation of the collection as they evoke the imaginary (and thus the socio cultural panorama) which the stylist has chosen to explore. In the title of the exhibition the extremely temporal dimension, as the one of seasonal collection, contrasts with the sense of history. By stimulating reflection on the idea of sharing through narrations, attitudes and symbols, the exhibition attempts to show a generational lexicon which is intrinsic to the cultural growth of the individual and necessary for the determination of his role within society. Marco Basta makes works where the artist’s himself is reflected on his environment. 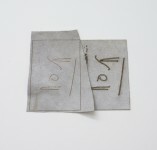 The drawing – on paper or on fiber, sometime digitally realized through a graphic pad – is the Basta’s favourite media and he uses this technique for representing images characterized by emotional fragility and caducity. These images are gloomy but nevertheless extremely lucid both in sharpness of lines and articulation of compositions, as though they would be a synthesis between instinct and behavioural codes. The Michele Manfellotto‘s videos include materials mainly shot by the artist with the intention of doing a documentation of his personal experiences interpolated to the lived experience of the community. In the images the artist collects, the everyday life is given back through the mass-media codes outlining a flow of lived and not lived experiences, document and myth. Beatrice Marchi investigates some blind alleys involved with the definition of identity, especially in the circle of the teenage years: subjects such as lack of self-confidence or turmoil run parallel to matters of social class and roles. Through numerous medias such as photography and performance, Marchi is ironic about the image of adolescence conveyed by the communication media and about status and style-symbols recurrent in the Italian society. Through his practice Matteo Nasini pursues a reflection on sound as a physical and cultural phenomena. His works are often hand-crafted musical instruments conceived by the artist as a hybrid between sculptures and tools regularly included in elaborated installations, videos or group performances. Beside these works Nasini creates other artefacts that recall certain types of manufactures from the popular culture where his intimate creative work faces a pluralism of narratives. Federico Proietti always crossbreeds diverse disciplines, in primis the visual arts and graphic design. In his practice, Proietti often works as an art-director applying the marketing strategies for defining and communicating a brand into a context definitely far from those processes. In doing so, the artist reveals the fanciful ambitions of the dominant aesthetics and the potential need of embracing them only because they represent the language of the majority. Andrea Romano investigates the dynamics of representation into places characterized by complex symbolic systems such as the visual arts field. His more recurrent works are pencil drawings and decorated glasses with hard stone frames in which Romano puts on an indissoluble bond between the image and its support. 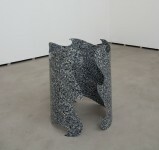 He also produces PVC sculptures which similarly resonates with the ambiguous relations of power among several elements. The affectation of his drawings of animals or his edge-notched sculptures are elements which aim to highlight the vulnerability of their supports. Davide Stucchi in his practice often looks at collaborations with other professional figures into the creative industry in order to bring into question the conditions and techniques of the contemporary visual arts. Winking at the advertising and fashion languages, Stucchi’s work tells how the extreme spread of creative technologies achieves a widespread lack of aesthetic that bring into discussion the aged-old conflict between professionalism and a D.I.Y. creative approach, and more in general between underground e mainstream cultures. Marco Basta (1985, Milan) Solo exhibitions: Monica De Cardenas, Project Room, Milan, 2012; Gasconade, Milano, 2012; DNA, Venice, 2011. 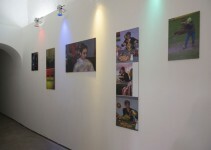 Group exhibitions: Galleria d'Arte Moderna, Milan, 2012; Palazzo Re Rebaudengo, Guarene d'Alba, 2011. Michele Manfellotto (1977, Rome) Group exhibitions: Macro Testaccio, Rome, 2012; Museo di arte contemporanea di Villa Croce, Genua, 2012; Istituto Italiano di Cultura, Los Angeles, USA, 2011. 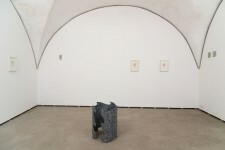 Beatrice Marchi (1986, Gallarate, Varese) Group exhibitions: Galleria d'Arte Moderna, Milan, 2012; Fondazione Sandretto Re Rebaudengo, Turin, 2012; 1m3, Lausanne, Switzerland, 2012; Gum Studio, Carrara, 2011; Villa Romana, Florence, 2011; UniCredit Studio, Milan, 2011; Galleria Room, Milan, 2010. Matteo Nasini (1976, Rome) Group exhibitions: Macro Testaccio, Rome, 2012; Nomas Foundation, Rome, 2012; Museo di arte contemporanea di Villa Croce, Genua, 2012; Istituto Italiano di Cultura, Los Angeles, USA, 2011; Museo della Bora, Trieste, 2009. Federico Proietti (1987, Rome) Group exhibitions: Klingspor Museum, Offenbach am Main, Germany, 2012; Basis, Frankfurt, Germany, 2012. Andrea Romano (1984, Milan) Solo exhibitions: Gasconade, Milan, 2011. 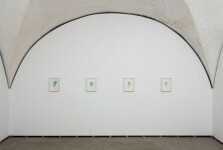 Group exhibitions: La Maison Rouge, Paris, France, 2012; Fondazione Bevilacqua La Masa, Venice, 2012; Fondazione Brodbeck. 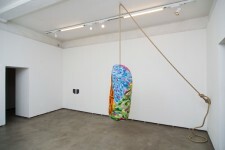 Catania, 2012; Fondazione Sandretto Re Rebaudengo, Turin, 2012; 1m3, Lausanne, Switzerland, 2012; Gum Studio, Carrara, 2010. Davide Stucchi (1988, Milan) Solo exhibitions: Spazio Cabinet, Milan, 2012; Plusdesign, Milan, 2012; UniCredit Studio, Artissima 18, Turin, 2011. 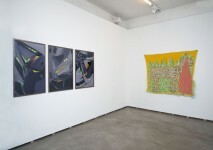 Group exhibitions: La Triennale, Milan, 2012; Galleria d'Arte Moderna, Milan, 2012; 1m3, Lausanne, Switzerland, 2012; Villa Romana, Florence, 2011; UniCredit Studio, Milan, 2011. 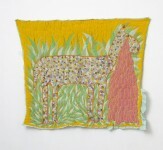 The artist has been selected for Furla Prize 2013.